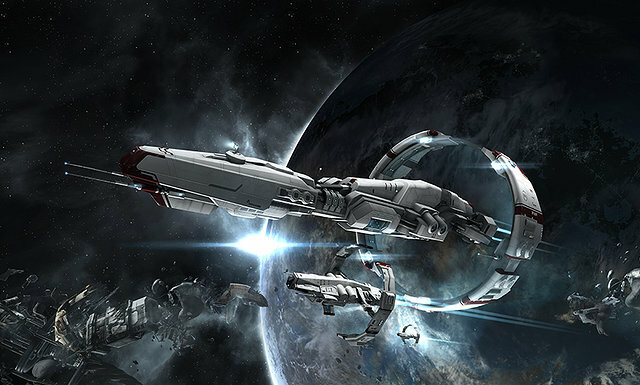 Coming up on March 12th we will be releasing EVE Online: Rubicon 1.3. With it comes your usual installment of game-balance tweaks from yours truly, CCP Rise, along with CCP Fozzie, and an angry Frenchman who should remain nameless. Somehow this release ended up with quite a bit of substance so we thought it would be nice to describe all the changes in once place for you. Alright, first up we have some changes affecting the Sisters of EVE. The new Sisters ships are doing well for the most part but we wanted to try and bring down their price tag slightly since right now they are stuck competing with those Sisters probe launchers everyone seems to love so much. Rather than lower the LP cost directly, which we intentionally set a bit higher than other pirate factions, we are going to provide an alternate means of getting your hands on our newest faction line! Starting in 1.3 the Sisters of EVE corporation will put out contracts for some rogue drone tech that you can find on most of the "Sentient" rogue drones appearing around New Eden. Keep your eyes peeled for Rogue Drone 46-X Nexus Chips, Rogue Drone 43-X Nexus Chips and Rogue Drone 42-X Nexus Chips, which can all now be traded directly to Sisters of EVE LP stores for corresponding Astero, Stratios, and Nestor blueprint copies. This is a simple change with a very large impact: We are going to put a cap on the total number of drones that can be assigned to any one character. For now, we are setting that cap at 50. We have two big motivations for making a change to drone assist: improving gameplay and improving performance. As drone assist grew in popularity, it quickly became apparent that while it’s a very powerful tactic, it isn’t much fun, especially at large scales. Having hundreds of ships' worth of drones assigned on one trigger pilot relieved an enormous amount of people from almost any responsibility in fleet. Now, EVE may not have the twitchiest gameplay around, but drone assist goes too far and testimony from frustrated pilots has been pouring in for a while now from all over. We feel that by limiting drone assist we significantly improve the chance of pilots feeling invested and responsible during fleet engagements (even if it means they don’t get to watch quite as much TV). The second big incentive to make a change is that drones are relatively taxing for our hardware when compared to other weapon systems. That means the recent surge in popularity of drone assist has had a tangible, negative impact on server performance in some of the battles of late. While the balance between design goals and performance goals can be tricky, this is one of those nice opportunities where we can have a positive impact on performance without any design cost at all. Again, if you’re interested in more details surrounding our broader design philosophies in regard to this change or in the specific solution we came to, I would heartily recommend checking out the forum thread. We have been receiving player requests to add a hull-repairing line to the logistics drone group for quite some time, and in Rubicon 1.3 we will be delivering. Hull-repair drones are especially useful for starbase upkeep, where they can be used to repair incidental structure damage that starbase modules take when they are incapacitated. They will also provide an effective way for groups of pilots to repair hull damage on long deployments without having to bring along a separate remote hull repair module. The Hull Maintenance Bots will be introduced in light, medium and heavy sizes, and in both Tech One and Tech Two. Their use will require the Remote Hull Repair Systems and Repair Drone Operation skills and they will receive the benefits of the Repair Drone Operation skill and Drone Repair Augmentor rigs. Blueprints to build the Tech One variants can be purchased in CreoDron stations. For more information and discussion about the new Hull Maintenance Bots, check out this thread. Electronic warfare balance is always a tricky tightrope to walk as a designer, since there is a fine line between fun and frustrating when it comes to disruption effects. We feel that we are very close to the sweet spot with Remote Sensor Dampeners, but there’s a little bit of tweaking left to do. We want Dampeners to remain a strong and compelling electronic warfare system, but with a slightly higher risk involved with using them. 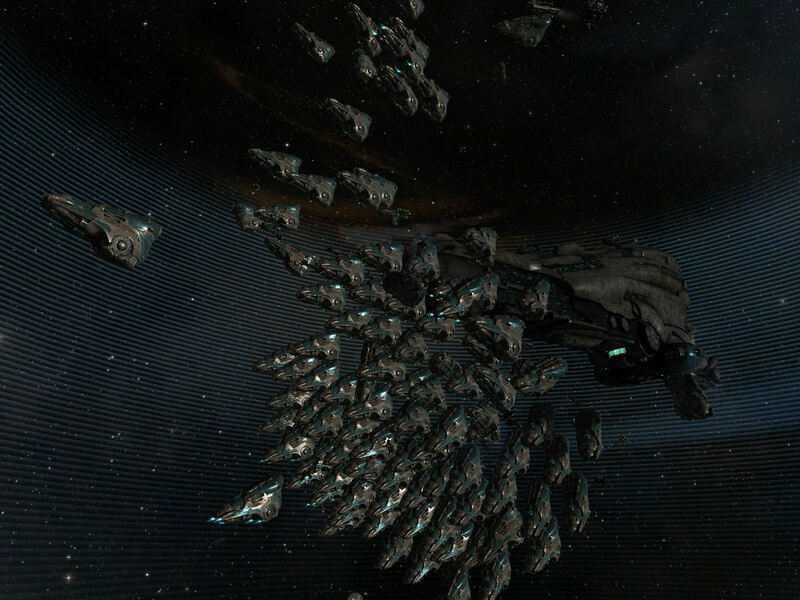 Therefore we are going to be reducing their optimal range slightly to push Dampening ships closer to their opponents. In Rubicon 1.3 we'll be reducing the base optimal range of all damps by 16.66% and reducing the damp range bonus on the Celestis to 7.5% per level. We have another change to Damps that we plan to put in a later patch, and this tweak should both lay the groundwork for that change and help keep Damps balanced in the meantime. For more information and discussion, check out this thread. In Rubicon 1.3 we are also making a series of small changes to some Tech One Frigates and Cruisers based on continued feedback and observation. 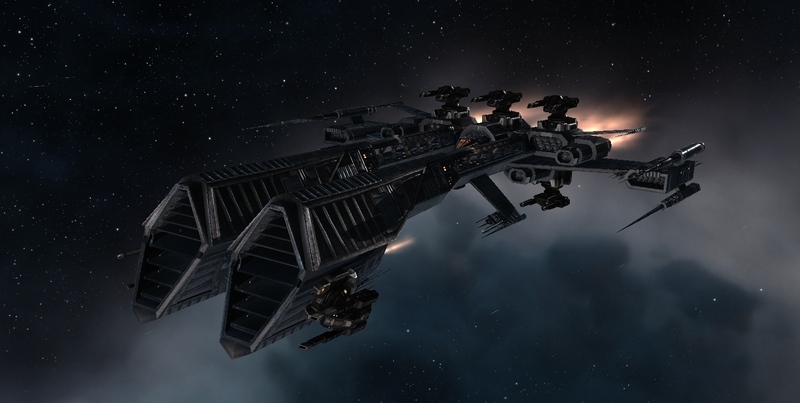 These ships are foundational pillars to EVE Online, since they can be flown and enjoyed by characters of all ages, and we want to make sure that there is a variety of fun and engaging choices to be made when deciding what ships to fly. Part of this balance-pass is a new set of tweaks intended to properly illustrate the flavor of Amarrian ships through their movement characteristics. Amarrian vessels are bulky, heavy plated warships that gain their mobility through powerful engines and maneuvering thrusters, not through light construction. This means that Amarrian ships are not nearly as encumbered by the addition of extra heavy armor plating systems. In practice after these changes, players will notice that the Punisher, Inquisitor, Augoror, Omen and Maller all receive smaller penalties to their mobility from the addition of armor plates than they did before. We are also making significant changes to the iconic Rifter frigate, exchanging its old tracking speed bonus for a falloff bonus that will allow it to project damage across greater ranges and take better advantage of the trademark Minmatar speed. Pilots of T1 Support Frigates will also notice that their speed has increased greatly, but their ships will take longer to turn. This tradeoff should ensure that flying the Support Frigates through live firefights remains an exciting and challenging endeavor. There are also several other smaller tweaks to ships in these categories, all of which can be found in greater detail in this thread. That's it for us! Have fun in 1.3! Hiya, I’m really glad I have found this information. Today bloggers publish just about gossips and web and this is really annoying. A good blog with exciting content, this is what I need. Thank you for keeping this website, I will be visiting it. Do you do newsletters? Cant find it. Needed to draft you one tiny observation to finally say thanks a lot over again for your incredible views you have discussed on this site. It is unbelievably open-handed with you to present freely what a few individuals would’ve supplied as an e book to earn some cash for themselves, most importantly now that you might have done it in case you decided. These points also served like the easy way to understand that the rest have a similar keenness really like my very own to see many more concerning this matter. I know there are lots of more fun opportunities up front for people who scan through your blog. I intended to put you this little remark in order to say thanks yet again with your magnificent techniques you have shared in this article. It is simply incredibly generous of you to offer publicly precisely what numerous people would have offered for an e book to generate some cash on their own, and in particular seeing that you might have done it if you wanted. Those guidelines additionally served to become a good way to know that someone else have a similar keenness much like my very own to see a whole lot more with regard to this problem. I’m certain there are several more pleasant moments up front for individuals who read your website. Great tremendous issues here. I am very satisfied to peer your post. Thank you a lot and i’m looking ahead to contact you. Will you kindly drop me a e-mail? oYIQvE I was recommended this blog by my cousin. I am not sure whether this post is written by him as no one else know such detailed about my problem. You are amazing! Thanks! I’m impressed, I must say. Rarely do I come across a blog that’s equally educative and entertaining, and without a doubt, you’ve hit the nail on the head. The issue is something which not enough men and women are speaking intelligently about. Now i’m very happy I stumbled across this during my search for something concerning this. Someone necessarily help to make severely posts I might state. That is the very first time I frequented your web page and so far? I surprised with the research you made to make this actual put up amazing. Fantastic job!